Jennifer Rycenga used to get depressed when she thought about the environment. The impacts of climate change made the avid birdwatcher feel powerless. Until a rattlesnake appeared in her path on a hike six years ago. When Rycenga heard its telltale rattle, she stopped short and turned her camera from the trees to the trail. The picture she took didn’t belong on any of her usual birding sites, so she went searching for another way to share it and came across an app, new at the time, called iNaturalist. And just like that, 30 years of bird obsession burst into a bloom of biodiversity and hope. Rycenga, a professor of comparative religious studies in California, now posts 400 to 500 photos a month of lichens, reptiles, butterflies and more, making her an “iNat power user” among the free site’s 600,000 members. Both amateur and expert scientists help identify each other’s subjects and offer up details about them – now increasingly assisted by artificial intelligence (AI). 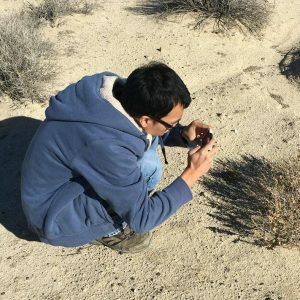 The observations are archived with their geographic details, and the highest quality ones are added to global scientific databases, where they might be used to study the return of mushrooms after California’s severe droughts, for example, or research which species survived last year’s wildfires. Rycenga’s passion for iNaturalist – she still celebrates her app anniversary each year – helps explain its explosive growth. User numbers have doubled every year since Ken-ichi Ueda and Scott Loarie launched the app in 2011 to accompany a site that had its origins as a Master’s final project in 2008 for Ueda and a few fellow students. Users now post half a million photos or audio recordings a month. And the platform has moved beyond its start as a social media network connecting scientists and nature-lovers, to be at the forefront of applying computer vision to the process of identifying and categorizing users’ posts for scientific use – and curiosity’s sake. Amateur iNaturalist users have discovered new species as well as ones that were thought to be extinct. They’ve discovered undocumented behavior and photographed organisms that had previously only been sketched on one of Captain Cook’s expeditions in the 1700s. The platform has fostered friendships and prompted career-changing epiphanies. And its data has been used not only for scientific research but to shape governmental decisions and policies. That hook works two ways, said Loarie, who has a Ph.D. in environmental science and leads iNaturalist’s organizational development. Professional scientists use the site because it gives them access to a whole army of amateurs out canvassing the earth and reporting back on what they find, while citizen scientists use it because it’s interesting and fulfilling to actually contribute to the experts’ research. INaturalist shares its data with the Global Biodiversity Information Facility, where thousands of records have been used as part of broader scientific analyses. More than 60 publications have used data from iNaturalist. That’s what lures Christine Phelan, a video game animator in Bellevue, Washington, who spends her free time volunteering for conservation groups. She was introduced to iNaturalist as part of a project studying slugs, snails and millipedes at Mount Rainier National Park a few years ago and has used it ever since to help Seattle’s Woodland Park Zoo monitor amphibians in the city. Christine Phelan said she’s been amazed as she’s learned about organisms by using iNaturalist – such as that some snails actually jump to escape predators. “It makes me wonder what else I don’t know about them,” she said. The engagement with amateurs is sorely needed to collect enough raw data to draw meaningful conclusions about the environment, but scientists then also need new tools to help process that data more quickly and make it more valuable for their research. 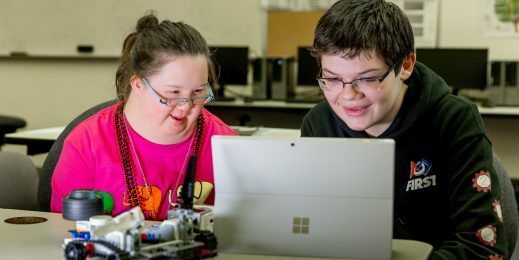 Time is short, needs are high and resources are few, and technology is the one thing that can help with all of that, said Lucas Joppa, Microsoft’s chief environmental scientist. Joppa created and co-leads Microsoft’s AI for Earth program, which began partnering with iNaturalist last year to help it boost the power of human connection using the cloud, AI and computer vision. Scientists are training an AI algorithm to help them more swiftly and accurately identify species in the images that are uploaded, lowering the barrier of expertise and enabling the community to grow faster and contribute more. The program also is co-sponsoring iNat Competition 2018, which challenges data scientists to create the most accurate computer vision model for identifying 8,000 species. Of the estimated 10 to 12 million species in the world, humans have only discovered about 1.2 million and have only assessed about 90,000, Joppa said. That leaves a critical gap in our understanding of the role each species plays in influencing the natural resources we all rely upon – a gap iNaturalist members are helping to close. That’s the next step that’s becoming clear as iNaturalist matures, Loarie said – mobilizing those thousands to act on behalf of the species they’ve become familiar with, to help protect the ecosystem that we all depend on. One example: An offhanded photo by Cedric Lee, a California naturalist, contributed to a petition last year to recognize the rare San Gabriel chestnut snail as an endangered species. Lee joined iNaturalist in 2013, mostly as a way to keep track of his observations within his specialty of plants. When he was out doing a plant survey one day, he noticed a snail that looked much flatter than a common garden variety, so he snapped a photo and uploaded it. Before long, a malacologist at the Natural History Museum of Los Angeles County identified it as a rare snail that lives only in that area and is one of only two species in its taxonomic group. Lee corresponded with the other scientist on the app and then met her at the museum, where she introduced him to all the snails and slugs one would normally find in the region. Before long, Lee was hooked. He shifted his research toward invertebrates and is now considered an expert in malacology, or the study of mollusks. His data was used for the pending petition to the U.S. Fish and Wildlife Service seeking protection for the snail. INaturalist is gearing up to welcome thousands of new members seeking to help fill that void later this month as they join the global City Nature Challenge, organized by the Natural History Museum of Los Angeles County and the California Academy of Sciences in San Francisco. Now in its third year, the challenge began as a friendly competition between the home cities of the museum and the academy, which houses iNaturalist. Interest grew so quickly that this year 69 cities, from Tokyo to Rome, will compete to log the most observations in the app during the April 27-30 event. Last year, only one species was found in every city, from tropical Miami to snowy Duluth, Minnesota: pigeons. This year, organizers are anxious to find out how a certain endangered butterfly in Miami, the Bartram’s scrub-hairstreak, fared in last year’s hurricane and what unique species each city might host, such as last year’s post of orca whales spotted from Seattle. “It feels like I’m taking a whole scientific team with me, virtually, on every walk,” said Lee. “Two weeks ago, I uploaded a picture of a beetle and got a message from a researcher who’d been looking for this beetle for 12 years and had yet to find any live specimens. So he was ecstatic, and we met up and looked together and found one. He said it was very important for his research.